PRESS RELEASE FROM CARLISLE CRICKET CLUB: REQUEST FOR ASSISTANCE - WE NEED YOU! HOW YOU CAN PLAY YOUR PART IN BRINGING HISTORY TO LIFE IN CARLISLE? Citizens of Carlisle - how would you like to play YOUR part in helping a team of archaeologists unearth some of the country’s most significant Roman remains? Archaeologists from city-based Wardell-Armstrong are looking for volunteers and business sponsors to help excavate the site of a 4th Century Roman Bath House at Carlisle Cricket Club during a month long dig taking place this September. In May, remains described as ‘Premier League’ were found on a site adjoining a proposed new, flood resistant pavilion at the cricket club. It’s believed an elite, 1,000 strong Roman cavalry unit based at a large fort in Stanwix used the bath house. The find is thought to be so significant it could become a major tourist attraction in Carlisle. Heavy duties include - shovelling, barrowing, mattocking, hoeing and trowelling. 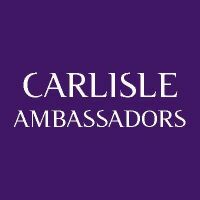 Those interested will be invited to an open day on Saturday September 2nd at Carlisle Cricket Club to discuss how they can help. Business sponsors also sought Fred Story, Owner of Story Contracting and Story Homes, has helped kickstart this exciting project with a £20,000 donation. * Business sponsors - We still need more donations to make this project work. If your business would like to get involved in this exciting local project then please get in touch. * Supply of equipment - Could you lend or provide equipment to make sure the dig runs smoothly and on time? The project requires light tools such as shovels, hoes and trowels, but also mini-diggers and other heavier plant. Let us know via the cricket club website - CLICK HERE FOR DIRECT LINK. Ends. For further information, contact.